Can't decide between the Engel 40L and the National Luna 40L. They are pretty much exactly the same. Both also has the battery protection now. R250 difference . . .
Jammer ken hulle nie, ekt 2 Camp Masters en hulle werk kwai genoeg. Do yourself a BIG favour - get a fridge/freezer dual compartment unit. Stephan, what are you going to be using the fridge for ? Will you be seriously be overlanding or just using for day / weekend outings? Well it's just me and the wife. 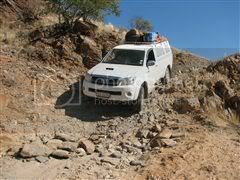 And it will mostly be used for day outings and weekend camping trips when we have the chance. 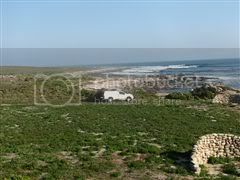 But we would also like to do some of the long trips once every one or two years if we can manage. Talked the someone in the fridge/cold storage business the other day. He reckons all these fridges uses Dunfos compressors, and you don't need to buy the most expensive one's as that companies only ask more then the others. They are not better. He sayed the parts etc are all the same including the Engel, not sure if one can believe it but he seems very confident about that, and it comes from China. Johan Kriel wrote: Talked the someone in the fridge/cold storage business the other day. He reckons all these fridges uses Dunfos compressors, and you don't need to buy the most expensive one's as that companies only ask more then the others. They are not better. He sayed the parts etc are all the same including the Engel, not sure if one can believe it but he seems very confident about that, and it comes from China. Johan, Engel is different...that's a fact! Yes, correct all of 'em run on danfross, but not all have the same insulation, that's where the diffs come's in. It may be small / minimum but that. NL have the weekender which is the cheaper version NL and they have the same fridge (in size) but it's R2K more....why....? Better insulation and therefore lighter on Amps. Die groot verskil in my opinie is die insulasie (dikte van die polystarien) wat die vervaardigers gebruik. Well!!! tough choice but also 2 very professional brands witch is well known.I personally think that they are over priced. 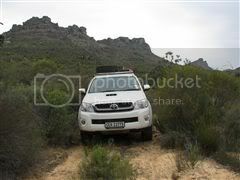 Vehicle: Hilux 4.0 V6 4x4, Long range fuel tank, Cooper Discover STT. WROffroad Level-it spacers. I would suggest the Waeco with its Danfoss compressor. I used my waeco on the boat and when placed on the back seat it will also work at an angle. Niel wrote: Die groot verskil in my opinie is die insulasie (dikte van die polystarien) wat die vervaardigers gebruik. Stem, tov van krag verbruik, maar dit kan seker nie so n groot verskil in die prys maak nie. Dikker isolasie moet minder krag gebruik. Ek het ook gedink die Engel gebruik n ander tipe motor, maar ek het nog nooit die goed oopgemaak om te sien wat daarbinne is nie. Omdat die Engel uit Australie kom (of dalk via Australie van China af ), moet hy duurder wees as die ander soos NL en campmaster wat direk van China af kom grootliks. Engel is a Japanese fridge that uses a patented Sawafuji Swing motor. Apparantly super reliable because the whole thing only has 1 moving part . . .
SideKick wrote: Engel is a Japanese fridge that uses a patented Sawafuji Swing motor. Apparantly super reliable because the whole thing only has 1 moving part . . . Racing snake wrote: Our Engel 60 combo has broken down three times. Always on a long trip. What a disaster. Repaired free under warranty. Stephan - Wegry recently did a review on fridges. The National Luna Weekender 52 L dual did not come out well as it is intended for just that - a weekender. I do agree that a dual is handy, but in that size rather go for a more insulated make - like Engel or ARB. The ARBs all have two compartments and are in various sizes. We have the 72 L National Luna dual. Works a charm and we are spoilt with all the space. One does tend to take up all available space though - a normal human condition! Yes. I read that article. The 50l/54l national luna weekender didn't do so well. But the 40l National Luna is propper. Proper electronics and proper insulation. On the Engel side, everything looks great, but it doesn't have battery protection. But they bought out now a limited edition 50th Aniversary 40l model that has the battery protection, so that one is propper all round too. The only difference between the two is the compressor and the Engel which uses less electricity . . .
We're leaving for Serengeti on 23 June. I'm taking one bil's 40l Engel- proved itself plenty times. Will use as fridge in Forest on dual battery. Bought a 60l Snomaster- 45l+15l combo unit. Fridge + bag cost R 6 400. Will use as freezer in new Gump on seperate battery system. Verdict due: End July 2012.
warthog wrote: We're leaving for Serengeti on 23 June. warthog wrote: Tks Mark. Will do. I've been using a 'Luna 80l for years now, and very happy with it. When it's not keeping food and beverage cool while on holiday, it is running 24/7 as a secondary bar fridge. With regards to the fridge/freezer combo's, I thought they would limit you a bit with size (eg. a whole snoek won't fit in there!). I just put my 80l on -3 C, pack all the frozen meats and ice at the bottom, and the drinks at the top. Meat and ice stay frozen and beers stay cool without freezing. This is an easy decision. Buy the best there is,Engel. Spares is a problem because there's no demand. They just dont break! Never had anything else than a Campmaster, to be honest, I wouldn't trade it for anything else, when it comes to price not much can beat a campmaster. Very, very good quality as well. My2cw. yotaman wrote: This is an easy decision. Buy the best there is,Engel. This is an easy decision. Buy the best there is, National Luna. M2c. I have a 40lt Engel and can only complain about it. The fridge would not go under 2 degrees so I took it to 4x4 Mega World. Had to redo to whole fridge that cost me R3800. I looked after this Engel like a baby and it only gave me sh$##@. So I would say anything but a Engel , go to Makro and look at their fridges , very well prized. I used a NL 40 l fridge once on a long Namibia trip some time ago. Got back, had endless trouble with defrosting and ended up throwing some meat away. After that I bought an Engel 40l. The Engel runs much more efficiently, and is better insulated, and after many years of hard use (call it abuse if you want to) it is still running smoothly, and keeps everything lekker cold. There are others on the market as well, but if I have to choose, I'll take an Engel again every time. But that's just me..
MORNE wrote: I have a 40lt Engel and can only complain about it. The fridge would not go under 2 degrees so I took it to 4x4 Mega World. Had to redo to whole fridge that cost me R3800. I looked after this Engel like a baby and it only gave me sh$##@. So I would say anything but a Engel , go to Makro and look at their fridges , very well prized. Thats bad Morne.What went wrong? Moet jy nie 'n HLJ se kettings loop koop of iets nie. george wrote: Moet jy nie 'n HLJ se kettings loop koop of iets nie. Ja jammer George ek spreek my beter uit as ek Afrikaans praat. Die kompressor en al die pype moes vervang word , en op dit moes ek nog 3 maande wag om dit terug te kry. Wat ek wou se is dat die oorspronklike probleem was dat dit nie wou vries nie. Ek het regtig die yskas opgepas , van dag een af was dit in n sak en na 5 jaar het hy nog nie n krappie op nie. Wat ek gehoor het van Engel se kwaliteit en betruobaarheid klink dit vir my dat ek net ongelukkig was ,want ek het altyd gedink die Engel is die Toyota van yskaste. MORNE wrote: Ja jammer George ek spreek my beter uit as ek Afrikaans praat. Die kompressor en al die pype moes vervang word , en op dit moes ek nog 3 maande wag om dit terug te kry. Wat ek wou se is dat die oorspronklike probleem was dat dit nie wou vries nie. Ek het regtig die yskas opgepas , van dag een af was dit in n sak en na 5 jaar het hy nog nie n krappie op nie. Wat ek gehoor het van Engel se kwaliteit en betruobaarheid klink dit vir my dat ek net ongelukkig was ,want ek het altyd gedink die Engel is die Toyota van yskaste.